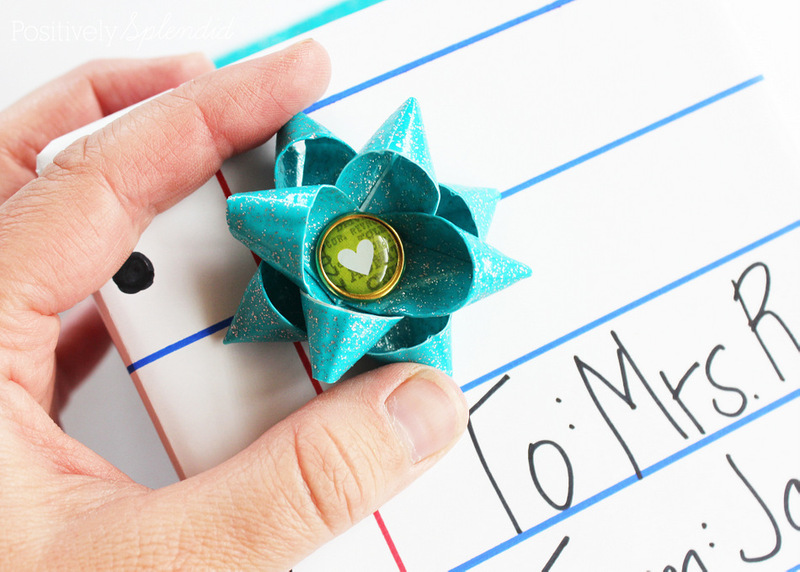 Looking for a cute, unique way to wrap a gift for someone special? 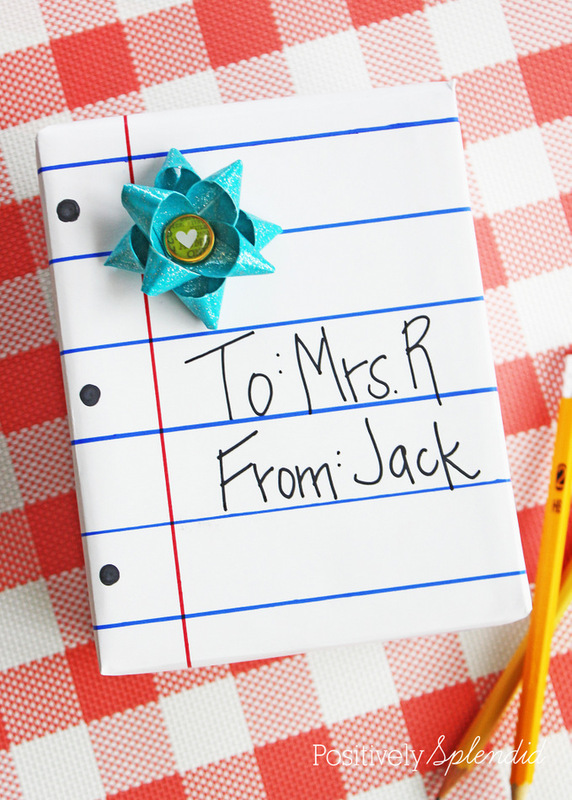 Today, I’ve teamed up with Scotch Brand to share a fun idea for turning plain-Jane white wrapping paper into darling notebook paper that is perfect for writing a special message. 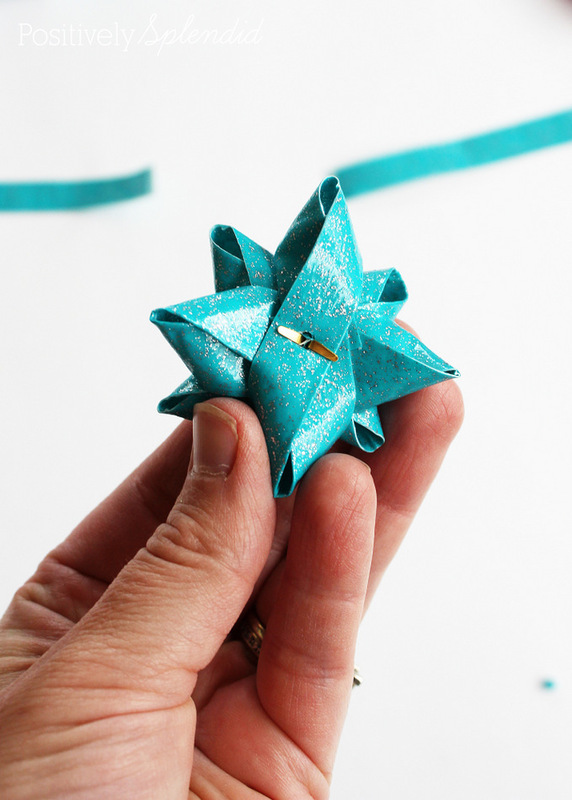 Plus, I’m sharing the super easy how-to for making gift bows with duct tape! This gift wrap is certain to make any recipient smile. Read on for all the details. This post is brought to you by Scotch Brand. All opinions are entirely my own. Note: Follow all Scotch™ Brand package instructions for proper surface cleaning and prep, adhesive strip placement and recommended weight claims. To begin, measure the length and width of the package to be wrapped. 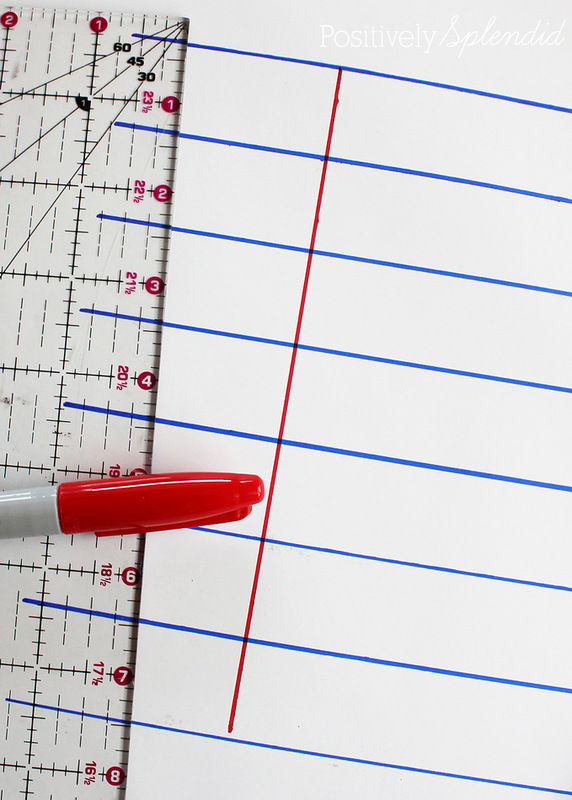 Use the pencil and ruler to sketch those dimensions onto the wrapping paper. 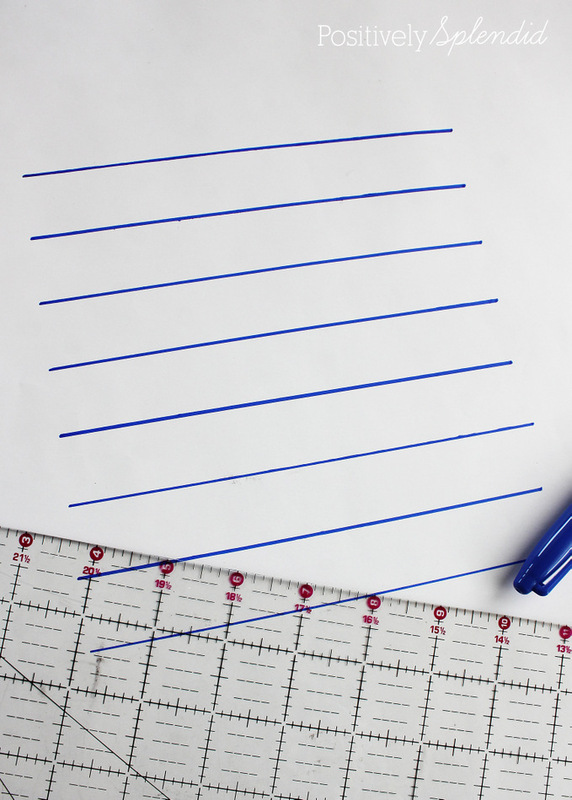 With the blue permanent marker and the ruler, draw a series of horizontal lines across the width of the sketched box plus 2-3” of overhang, with each line being 1.25” apart. With the red marker and ruler, make a vertical line 2.25” from the left-hand side of the sketched box. Use the black marker to draw three equally spaced black circles for the notebook paper “holes.” Use the same marker to draw a to/from message (or any other message you like) onto the lines of the notebook paper. Allow all ink to dry completely before proceeding to the next step. Center the drawn notebook paper motif on top of the package to be wrapped, and crease the paper at the sides to ensure the notebook paper design stays centered during wrapping. Flip the wrapping paper over so it lies face down on a work surface, and then place the package face down onto the paper, using the creases to guide you for proper placement. 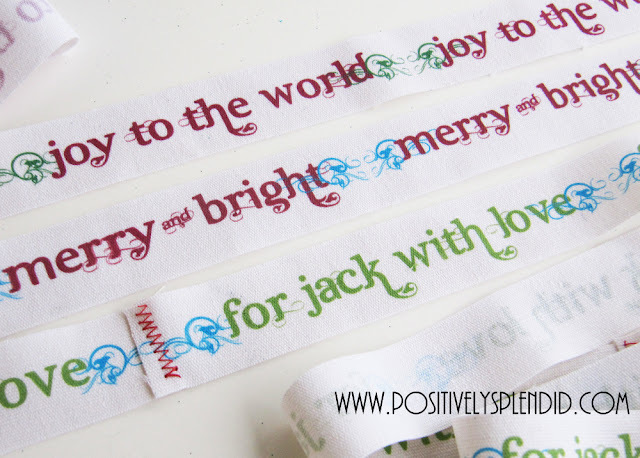 Wrap the sides of the paper up and toward the back of the package, and use the GiftWrap Tape to secure. 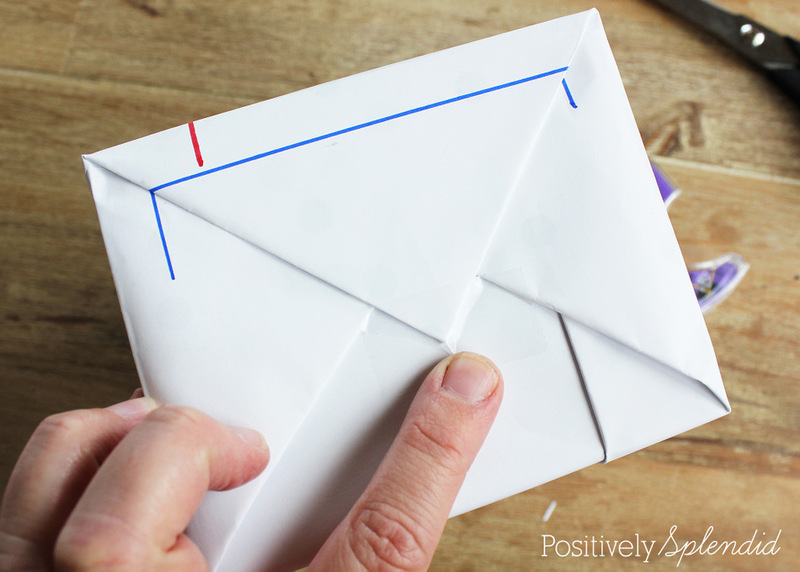 Wrap the overhang of paper on each end with an envelope fold, and secure the ends with a 1-2” section of the GiftWrap Tape. I love using GiftWrap tape when wrapping gifts, since the satin finish of the tape makes it virtually invisible on wrapped presents. 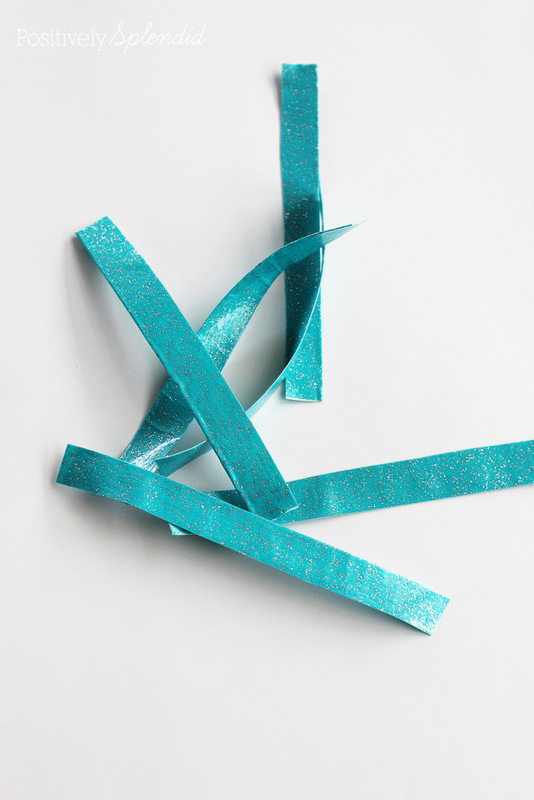 Fold the sections of Scotch Glitter Duct Tape in half lengthwise and use the scissors to trim each piece in half lengthwise. Working with one piece at a time, loop the top edge down to the center and the bottom edge up to the center to create a figure 8. Punch a hole through the center point where the ends overlap, and press the brad down through the hole, from front to back. 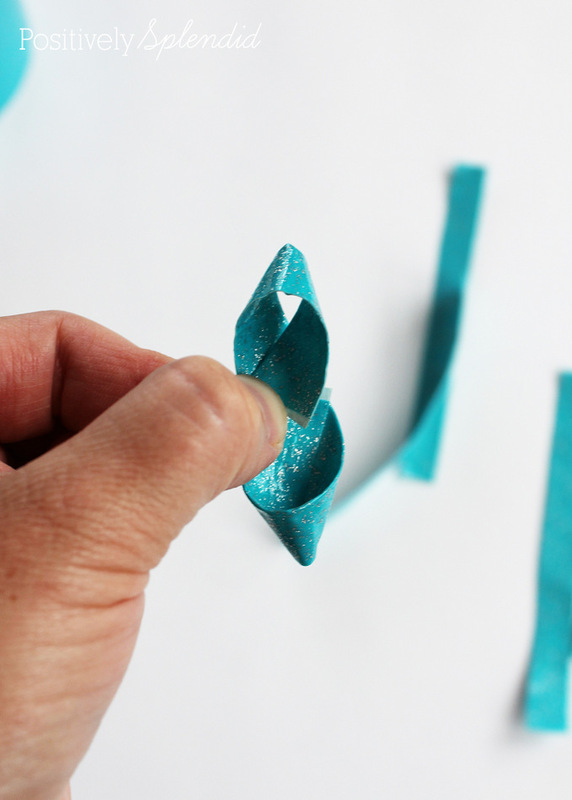 Fold the remaining duct tape strips in the same fashion, adding them to the brad as you go. When the final section is added, press the ends of the brad open, as shown. 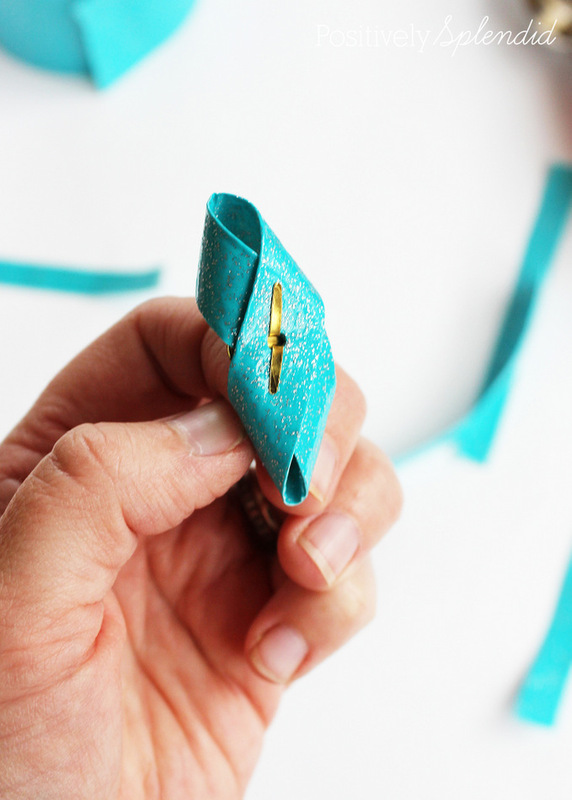 Adjust the loop sections to give the bow an even, polished look. Affix the bow to the front of the wrapped package with a loop of Scotch GiftWrap Tape. I love how this package really takes a departure from typical gift wrapping. This is sure to make a recipient feel extra special! Looking for even more gift wrapping inspiration? 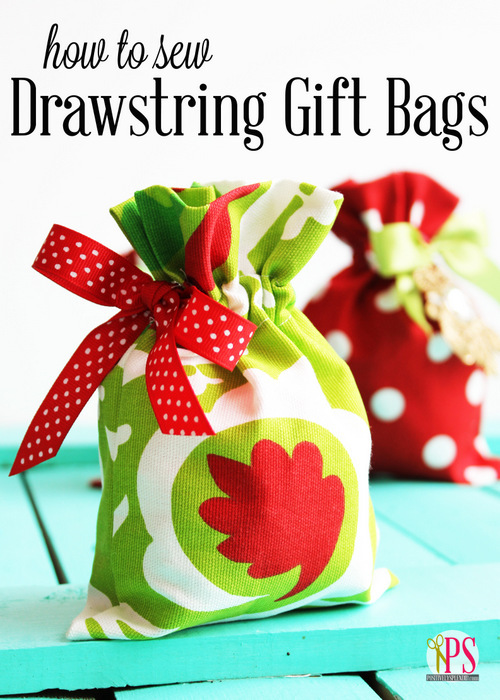 Check out all of my great diy gift wrapping ideas here, or scroll down for a couple of my personal favorites!